Well known for clean beaches and beautiful eco-tourism sites and islands, Nha Trang is also famous for its cheap and delicious cuisine. While the city has amazing 5 star hotels with luxurious restaurants to boot, you can experience authentic Nha Trang food in more local and inevitably delicious places in town. Check out our 5 top dishes to try while in Nha Trang. Translated as “seafood”, this really isn’t a dish, this means a medley of different seafood. Not surprisingly in this beach town, the selection and quality is top notch. Any number of dishes will have the option of “hai san” which will include fresh fish, crab, shrimp and/or squid. There are abundant seafood restaurants, street stalls and beach resorts offering the best hai san the city has to offer. Local insight: Most places have seafood on display so you can pick which items you want to have for dinner. A breakfast favourite of locals, Bò Né is a beefsteak served with pate, eggs, bread and chili sauce in a blisteringly hot plate. It is accompanied with a mix of salad, tomato, cucumber, onion and vinegar. One notable item is the bread which is always served warm and crusty. Local insight: Check ou the Bo Ne at 41 A Le Dai Hanh. It’s tasty, filling and at VND35,000 a plate, a steal. The sauce is the key to this dish and simply put, is amazingly delicious. Minced pork is mixed in a sauce that is equal parts peanutty, salty, and sweet. The dish is served with grilled pork, a deepfried spring roll wrapper, and salad wrapped in rice paper. Price ranged from VND40.000 to VND60.000/set. Local insight: The area of Dang Van Quyen street, near Dam market is the traditional centre of “Nem Ninh Hoà”. Different from it’s cousin to the south, this spring roll usually served with minced pork meat, called “chả lụa”. It still comes with the prerequisite greens, pickled daikon and carrots along with the smattering of herbs inside a rice wrapper. Local insight: You can get the best banh cuon at the restaurant located at the corner of Ngo Gia Tu and Bach Dang Streets. Your trip to Nha Trang wouldn’t be complete if you don’t have this kind of noodle soup. Not many people are fan of jellyfish but this is one of specialities in Nha Trang and fresh tuna or marin is also served with the jellyfish. Dip the fish or jellyfish into a special fish dipping sauce to create a taste sensation not usually found in the country. Local insight: Bà Năm restaurant, Dam market or the corner of Bach Dang and Nguyen Thien Thuat streets are reliable stops for the best bun ca – bun sua in town. And if it’s too much for you, the jellyfish is optional. Hope you enjoyed reading out top 5 dishes to try in Nha Trang and feel free to let us know what you think of them! With so many restaurants and hotels running Christmas specials, it’s hard to find the perfect one for your tastes. To help you along with your decision, City Pass Guide has accumulated a list of some of the tastiest venues to go for your Christmas holiday meal. They fill up quite fast so it’s recommended to book your reservation in advance. One of the only places in Hanoi with an exclusively Vietnamese themed-menu with an option of free flow sparkling wine. The chef’s own 4-course set dinner showcasing the finest ingredients. An international buffet will delight your tastebuds while traditional Christmas songs are played live in the background. Two different menus for Christmas Day and Eve are available and children under four eat for free. A family friendly five course dinner with entertainment such as interactive games, a clown and magician along with an appearance by Santa Clause. A sophisticated French inspired six course Christmas Eve dinner makes Camargue one of the most sought after dinners in town. Choose from a BBQ rooftop buffet or a Christmas Gala buffet complete with gifts, a magic performance and a lucky draw. Not content to only having your Christmas dinner on Christmas Eve? If not then head to Hog’s Breath where a Holiday Set Dinner runs from the 15th of December to the 25th. Enjoy your Christmas buffet while being serenaded with carols with a real Christmas tree in the background. A four course Christmas dinner featuring a glass of sparkling wine and fresh seafood awaits you at Le Brasserie De Saigon. Take in a five course Christmas Eve dinner at this Miele guide listed restaurant. Violin and guitar players entertain while you feast on a six course dinner. A very Asian Christmas set dinner complete with a glass of sparkling wine. Choose from a three course lunch or five course dinner for Christmas. A plethora of festive events for the holiday season including special room rates and private parties. Dine at 21 floors or have a cozy gathering of friends on Christmas Eve and Christmas Day. There are options galore at the Sofitel Saigon with buffet and set menu options. Also celebrate at home with the “french touch” menu available for delivery. Enjoy the festive holiday with an abundant seafood buffet and unlimited Tiger beer and soft drinks. Book early and get a 15 percent discount. A special French-Vietnamese buffet with a complimentary glass of sparkling wine at Vatel. A five course dinner with paired wine suggestions for the wine lover. Enjoy Christmas dinner at the friendly casual French bistro with homemade foie gras and Christmas turkey. Enjoy a beachside BBQ buffet for Christmas at Mui Ne Unique Resort. Dancers, musicians and an international DJ will provide entertainment along with a special appearance by Santa! 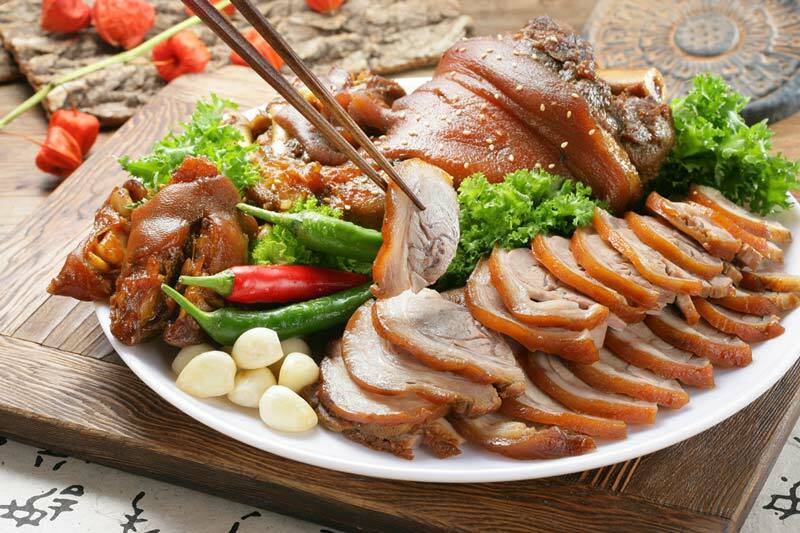 Enjoy a traditional Christmas dinner with roast turkey with all the trimmings for VND400,000/person. While Vietnam’s northern people welcome Tet with peach blossoms, green bánh chưng cakes, pickled onions and frozen meat (a tradition we covered extensively in a previous article), the people of Central Vietnam greet this time of year with a distinct meal featuring yellow apricots, fermented pork rolls and a host other traditional dishes. To borrow a colloquialism, same same but different: this region’s dishes and food cultures have a distinguished and wholly different style from North and South Vietnam. Central Vietnam is known as the region with the longest coastline in the country, which suffers the most from extreme weather as a result. This combination of geography and weather conditions there have deeply shaped Central people’s custom and lifestyle. They are believed to be the hardest working and the most economizing Vietnamese. These natural conditions have driven the region’s nutritional choices. To economize, they complete their meal with ample amounts of white rice. Also, because most central families work in fisheries, they have to preserve seafood with processes that give it with extra flavor. Because of this, Central people tend to prefer salty, spicy and fermented foods. Fermented foods are served during economic downturns and severe weather conditions, and food that are spicy and salty help them combat the numbing cold of winters. As the Year of the Dog draws close, Vietnam’s Central families are also carefully preparing foods for the first of many days of feasting and merrymaking to come. 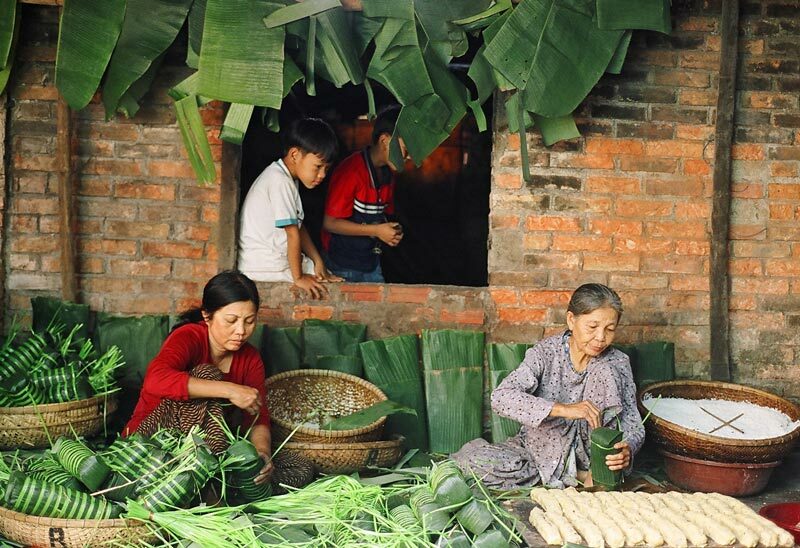 Let's learn what a typical Central Vietnam family serves during the Lunar New Year. When celebrating Tet with food, Vietnamese say it "ăn Tết". Maybe you don’t know Vietnamese, but the word "Tét" should sound familiar! Like bánh chưng, bánh tét also represents heaven and the earth. It also emphasizes the importance of rice in the life of Vietnamese people. During Tet, people of Central Vietnam put a pair of Tet cakes on the altar to worship the ancestors. The first three days of the New Year are the perfect time for family and friends visit, and bánh tét is an ideal dish to serve to guests coming to the house. This Tet specialty is made with sticky rice and filled with pork fat and beans that are seasoned with black pepper and shallots. It’s wrapped in banana leaves giving it an appealing pale green color and a slightly leafy taste. To prevent the banana leaf from coming apart while it’s cooking, people wrap it several times with plastic ribbon before steaming. How was bánh tét first created? 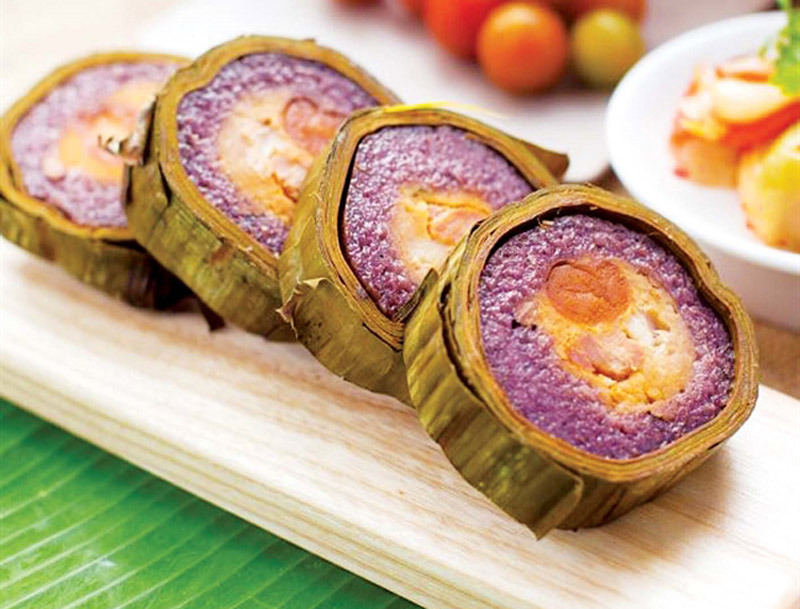 Some studies have claimed that bánh tét is a different version of bánh chưng—a similar food which is also stuffed with beans and pork—but this one is presented in a cylindrical shape due to the process of southward expansion in the 17th century. According to these studies, when Vietnam expanded southward to capture the former territory of Champa Kingdom, the dish was adapted to the colonized peoples tastes. Bánh tét was thus shaped by a desire to affect the linga, a phallic-shaped post associated with the deity Siva, according to Cham belief. The culture’s artistic productions prominently feature rods and poles for this reason. One serving contains a small, neat and beautiful slices of bánh tét. Vietnamese are also known to enjoy the dish fried, which gives the bánh tét a delicious, chewy crispness. Just as bánh chưng is typically paired with onion pickles in the North, bánh tét goes along with dưa món (vegetable pickles). 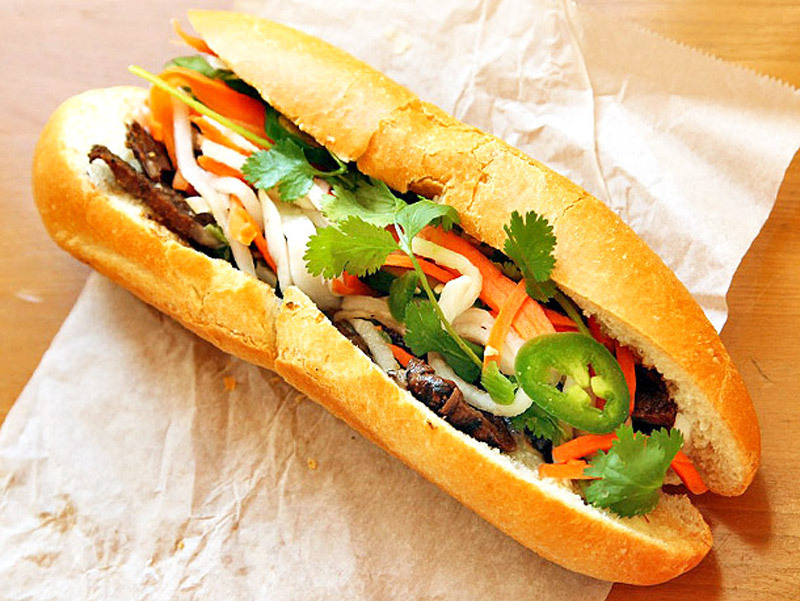 It’s not the đồ chua (pickled vegetable) you have experienced in Vietnamese bánh mì before. The vegetables in dưa món carry a distinct, extra crunchy texture. What’s the secret to this textural peculiarity? To answer this question, start by looking at the dried vegetables. People from Central Vietnam usually dry carrots and radishes in the sun for a few days until the vegetables get perfectly dried. These dried veggies will soak up tons of flavor when cooked instead of going soggy like they otherwise would. They’ll hold texture even after sitting in the fish sauce for a few days. They remain crunchy with an al dente bite that’s truly addicting. If it's impossible to dry your vegetables due to cloud cover or pollution, just use your oven. Set it on the lowest heat with the over door cracked open for three to four hours or if you have a gas stove give it about five to six hours with just the pilot light on. Follow these instructions and you can also achieve that same appropriate texture. A properly executed dish of dưa món carries the aroma, flavor, and sweetness of fish sauce and sugar as well as the crunchiness of papaya. The added daikon compliments the beautiful vivid color of carrots. 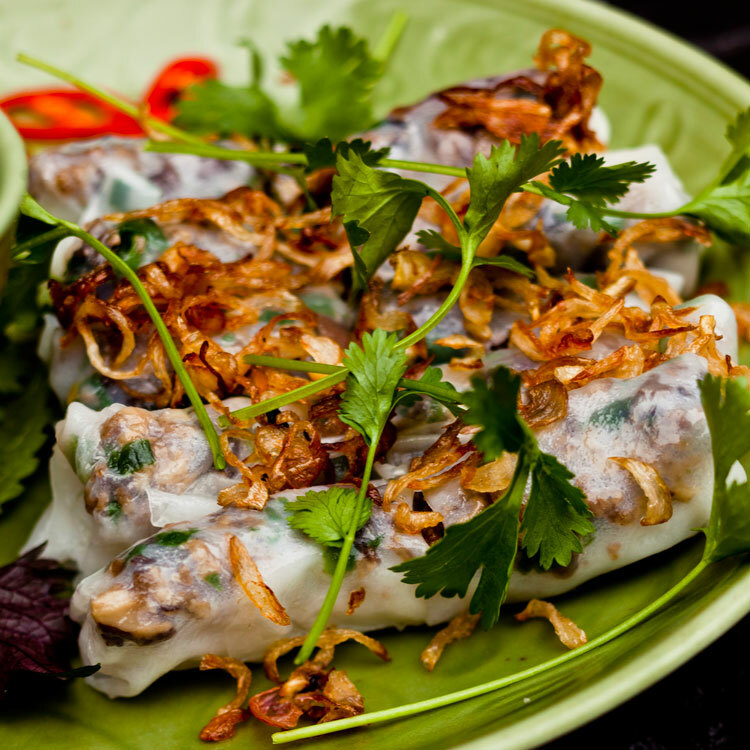 Nem chua is an indispensable dish of the Central Vietnamese Tet tradition. It is made from fresh pureed pork mixed with pork skin, marinated with spices, pepper, chili, all of which is fermented before becoming ripe for consumption. 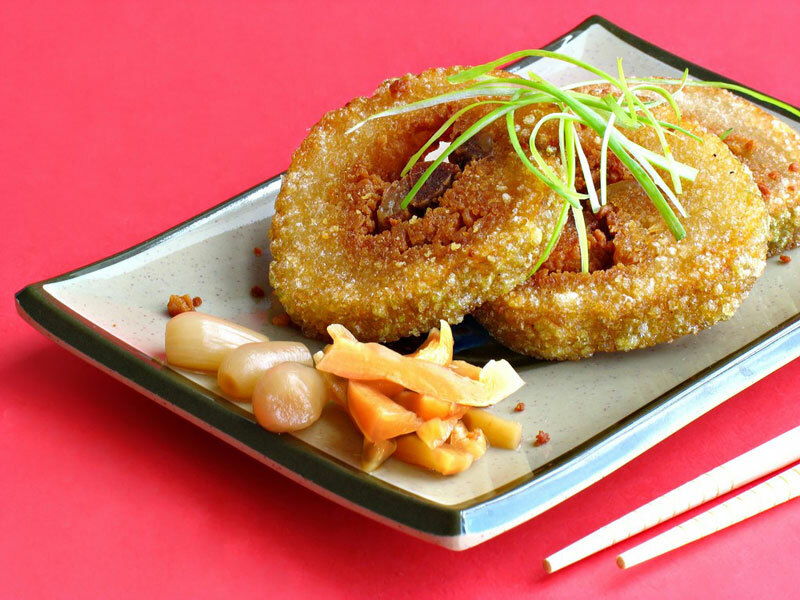 Some won’t dare to eat nem chua at first as they know this dish is made from completely raw pork. However, once you give it a try, you will slowly fall for its addictive light sourness, sweetness, crunchiness, spiciness, and the fragrance blended on their tongue. Each province presents their sense of flavour and natural resources by using different leaves as wrapping materials. For example, Ninh Hoa’s nem chua wears gooseberry leaves, Binh Dinh’s nem chua goes with guava leaves. These wrapping materials also contribute greatly to the flavor of each fermented pork roll. With close inspection, it’s easy to see that nem chua has two layers of wrapping. It has a layer of interior leaves, which decide the taste of nem chua mentioned above. The other is outer leaves, which are usually banana leaves. The banana leaf layer's thickness depends on how deeply fermented one would like their nem chua (more leaf means more fermentation). Normally, two layers of banana leaves are laid crisscross. If you can’t afford to make it your own, no worry. Here are some of tips from the people of Central Vietnam to find the best nem chua. First, a well done nem chua must have dried surface. Second, it should have a slightly pink color, firm meat and reasonable sourness. Nem chua can be eaten plain or served with wine in amongst a Tet feast. Each region has different ways to evaluate the flavor of the dish. Though North’s people prefer its original sourness, people from Central and South Vietnam usually add sugar, garlic, chili, and pepper to increase the spiciness and sweetness of nem chua. 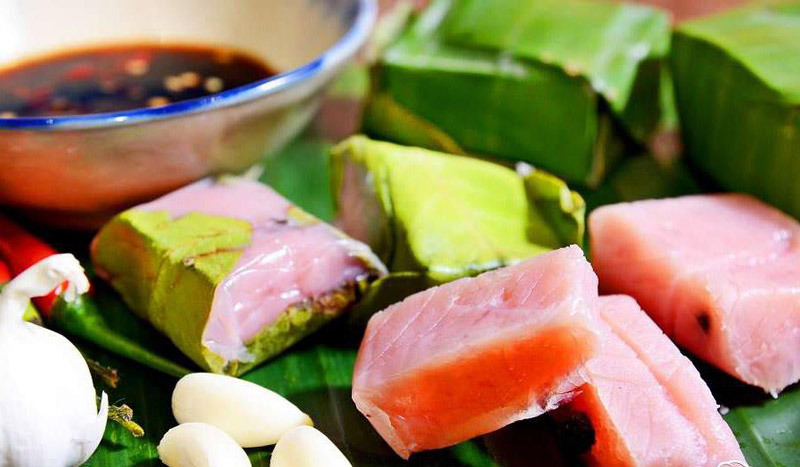 While Tet holiday could be tempting you with loads of nutritious, fatty foods, this rustic dish of meat soaked in fish sauce rolled in rice paper with various raw veggies, herbs, pickled vegetables is even more satisfying. Meat soaked in fish sauce is a simple, flavorful yet super-easy-to-make dish. 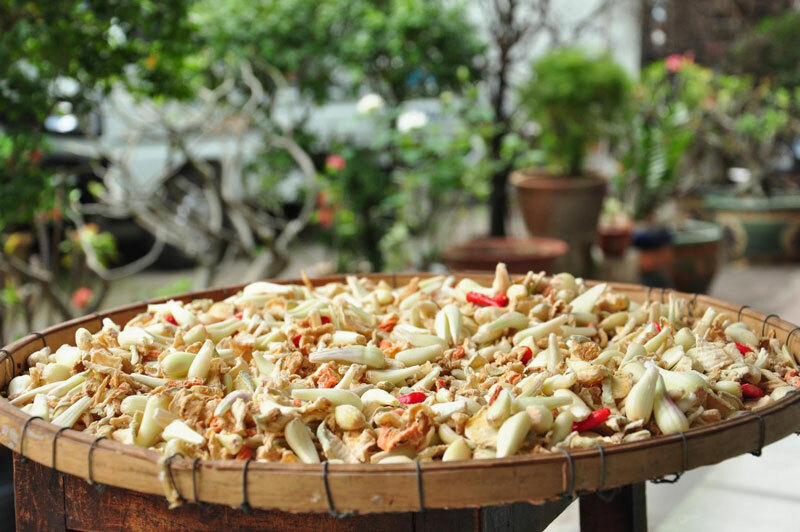 This charming treat is a traditional dish at a Tet meal in Central Vietnam. Over centuries and generations, Central Vietnam’s families still love to have a dish of meat soaked in fish sauce at their Lunar New Year feast. 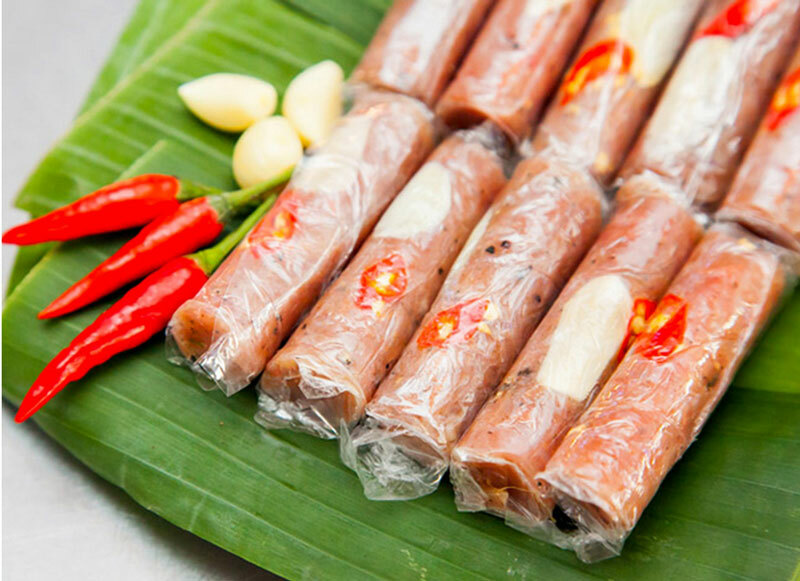 For locals, a roll of thịt ngâm mắm is well rounded and balanced flavour wise. The salty taste of the dish coupled with veggies dipped in sweet fish sauce play nicely against the spiciness of chili, pepper, garlic, and ginger to together create an exceptional culinary experience. If we’re going to talk about Central Vietnamese cuisine, we just can’t leave out its famous dish: mắm. And, at this time of year, mắm tôm chua is proudly in attendance in a traditional Tet meal. Unlike Mắm tôm—the well-known shrimp sauce that has dark purple color and smooth surface—sour shrimp sauce owes its appealing orange color to the shrimp. In order to make this sauce, the shrimp must be cleaned with salt water and slightly cooked in a strong rice wine. 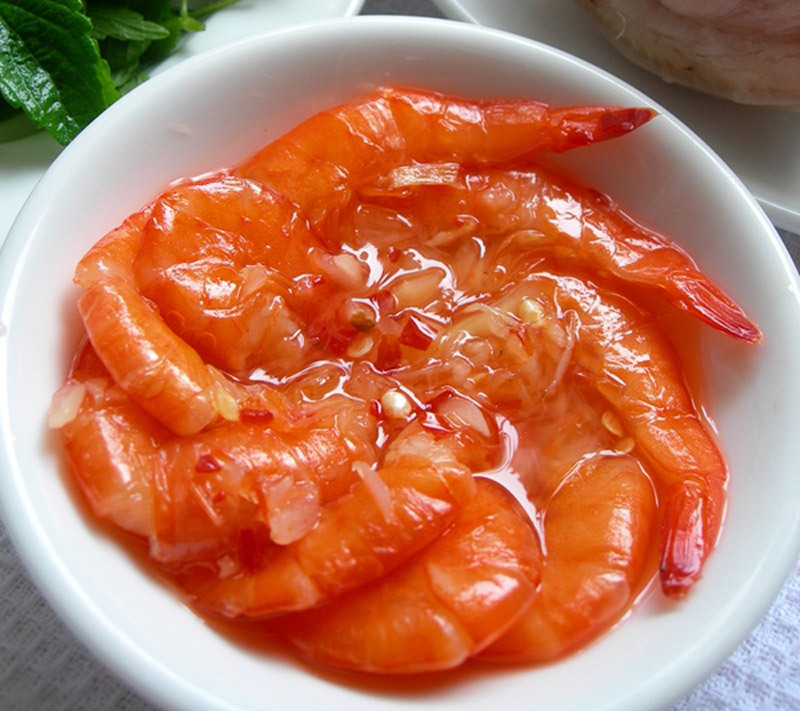 Carefully mix the shrimp with sticky rice, sliced galangal, garlic and chili before combining the mixture into a jar. Everything is covered with guava leaves and left for five to seven days. Mắm tôm chua is the best paired with thịt heo luộc (boiled pork), rolled in paper rice cake with loads of garnish including curly salad greens, cucumber, mint, herbs. Wait. Did we forget something? Sauces! Pour crushed garlic, chili, and sugar into the bowl of sour shrimp sauce, and mix them well with a spoon. Season the mixture until it matches your own sense of taste. Finally, squeeze a few drops of lemon in, and your sauce is ready. Stay tuned for more fascinating foods presented this Lunar New Year. Next stop: a South Vietnamese traditional meal during this most festive time of year. Why did you start Vietnamese Food Lovers (VFL)? Because for over 11 years, as I’ve promoted Vietnam with City Pass Guide, I’ve come to the conclusion that tourism in the country is portrayed all wrong. The essence of what makes Vietnam a special place isn’t its attractions or its monuments or its landmarks. What really makes it stand out is the people and the food. You can’t really export people too much, but you can export food, and Vietnam definitely has one of the most interesting cuisines—especially now that everyone is becoming aware of the importance of eating healthier. 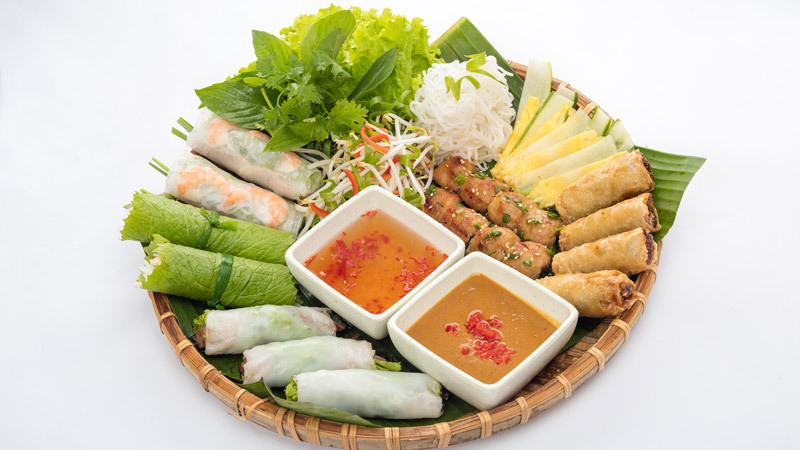 Green, light food, diverse food, easy, simple but fresh, which are attributes of the Vietnamese cuisine. How will VFL change the experience of eating Vietnamese food? I hope that we will be able to support the Vietnamese restaurants in order to ensure higher quality and safety standards, an important area in which improvement must be made. Our aim is really to make a stand for Vietnamese cuisine worldwide. It’s a long-term goal that requires ample resources and time. And this is what we’re currently building. Vietnamese Food Lovers aims to recruit the best food supply chain stakeholders and to work together with them to support the promotion of Vietnamese cuisine and food, not only marketing-wise, but sales-wise. Vietnamese Food Lovers plans to be active in international trade fairs for hospitality, F&B sectors, gastronomy and other related trade fairs. The aim is to help local producers who are producing quality food-related products to export to the rest of the world. Vietnam has not yet tapped into this huge potential in this huge industry. Why do you think Vietnamese cuisine isn’t more widely celebrated in the world? I think it’s a combination of things. First, Vietnam has truly opened its doors to the rest of the world only for the last 25 years. And for the first 10 years, tourism was very minimal. The second reason is that to make good Vietnamese food you require some basic raw ingredients that are still not yet available in most countries around the world. VFL now has a website. What’s the purpose of the website, and what can foodies get out of it? We just launched the English version, with a Vietnamese version coming soon. Basically, the website aims to be a one-door portal where demand and supply can meet in order to do more Vietnamese cooking. 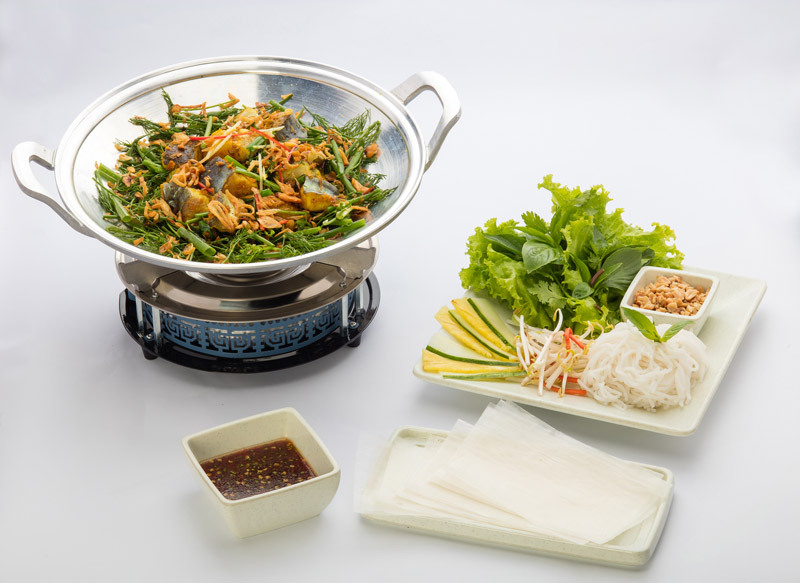 That includes recipes, a very large database of food suppliers from around the world, a large database of restaurants and hotels that have an interest in Vietnamese cuisine, and daily news and films and data that is relevant to Vietnamese Food Lovers. What are your goals for VFL by 2020? By 2020 Vietnamese Food Lovers will have organised over eight Vietnamese Food Festivals across Vietnam. We will have received a million pledges of Vietnamese food lovers around the world. Vietnamese Food Lovers will be the largest database of food supply chain and demand contacts worldwide, so we can unite all Vietnamese food lovers under one portal. It will be the largest media agency responsible for promoting both Vietnamese cuisine and Vietnam’s finest food producers. Can Wrap & Roll Take Over the Culinary World? You’re sitting down to eat at a Vietnamese restaurant. Look around: what do you typically see? For most people, a Vietnamese meal out implies two options—a cheap meal perched on a red plastic table, or fine-dining at one of Saigon’s 4- and 5-star hotels. Apart from these two extremes, there are very few in between. As the city’s F&B market becomes increasingly sophisticated, the casual-dining restaurant segment has become competitive as well. Ten years ago Saigonese likely found their daily meals at street food vendors or in small, mom-and-pop restaurants, but today Vietnamese food chains like Pho Ong Hung and Mon Hue, both owned by F&B conglomerate Huy Vietnam, are working to corner the sit-down, casual dining market. While these chains have done well in major cities around the country, the world market beacons for the aspiring restaurateur. But can Vietnamese food, a cuisine based on fresh ingredients and homemade tastes, be franchised and replicated in other countries? When Nguyen Thi Kim Oanh looked at Saigon’s F&B market in 2006, she spotted a glaring hole. 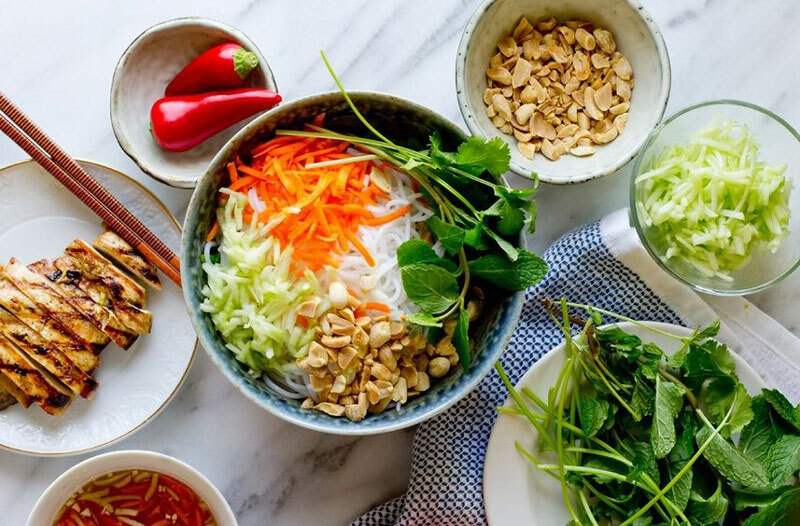 What if a white-collar worker, either foreign or local, wanted high-quality, healthy Vietnamese food in a clean, trendy setting, without sifting through the hundreds of items on a typical Vietnamese menu? Every bit the professional, energetic and passionate businesswoman she sought to cater to, Oanh developed the concept for Wrap & Roll before setting off on a country-wide trip to decide what rolled cuisine was really all about. She discovered almost 100 different wrap and roll dishes, and settled on just 60 easily replicated and fresh varieties, focused on two different culinary models: the pre-made roll, and the do-it-yourself. After planting these curated rolls on an easy-to-understand menu, and creating a clean and inviting atmosphere on Hai Ba Trung, magic happened. 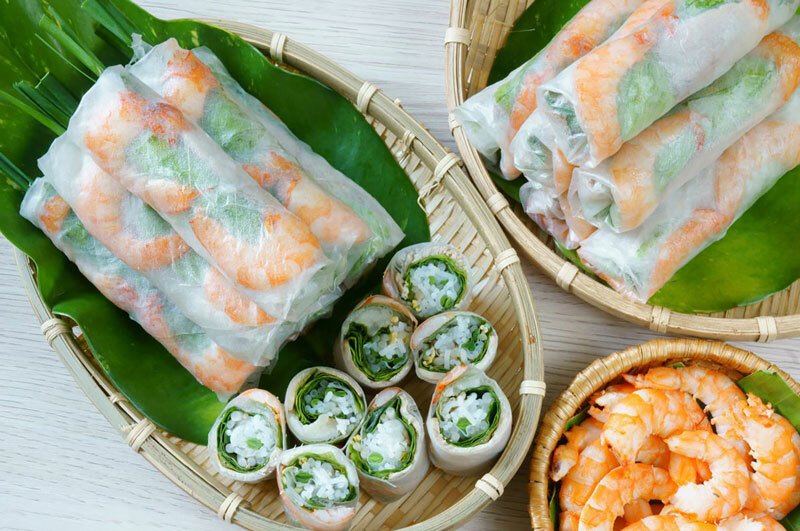 The concept worked, and within a year, four Wrap & Rolls were open for business in Ho Chi Minh City, in key locations like Phu My Hung and Diamond Plaza. Oanh modestly attributes her success to her knowledge of the market, and a little help from the perfect timing. “The customer targets were all correct, and the timing was good. In 2006, there was a food court trend in Vietnam. Timing is very important,” she said. Expanding nationally is one thing, but franchising a Vietnamese restaurant for expansion overseas? That’s another story. At the moment, only the chain restaurant Rolld has capitalised on Vietnamese food in Australia, and soup emporium Pho Hoa Noodle Soup, which boasts to be “the only Vietnamese cuisine franchise outside of Asia”, has outlets in the US and Canada, along with several countries in Asia—but not Vietnam. So, when the private equity firm Mekong Capital took on Wrap & Roll in 2010, for Oanh it was all about grounding the company in an Asian market before expanding elsewhere. So far diners can enjoy a Wrap & Roll dinner in Singapore and Shanghai, while Taiwan, the Philippines and Cambodia are likely to be added to the list in the coming years. Quality is a top concern, especially when dealing with a cuisine dependent on fresh herbs and vegetables that can’t be exported. So far, the Wrap & Roll team has maintained quality by subtly altering ingredients to fit products available locally and importing Vietnamese spices directly from Saigon. 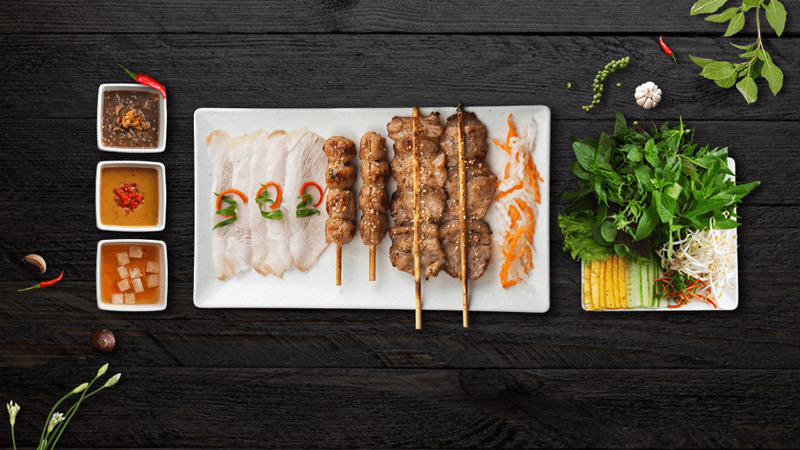 With a goal to open 50 stores in five countries by 2021, it looks like Vietnam has found its first international restaurant franchise. 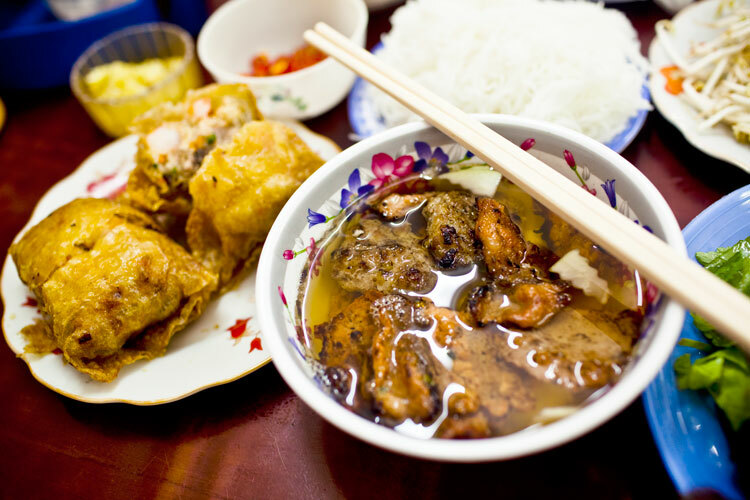 Hanoi is a foodie’s paradise offering plenty of cheap yet delicious eats. 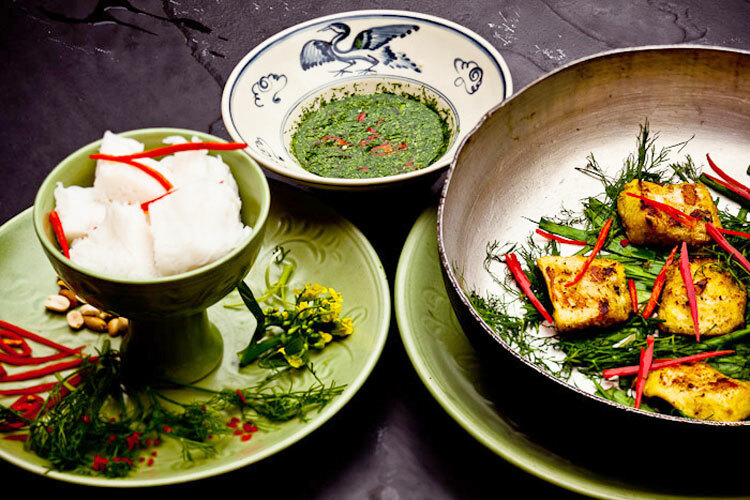 Heartier and indicative of the cooler temperatures of the north, the nuanced flavours of Hanoi cuisine can be a welcome relief to it’s brash cousin to the south. Nowhere is this more indicative than in the Old Quarter. The maze like streets are crammed with makeshift stalls and storefronts that offer one or two dishes handed down from generation to generation. They have spent years perfecting these dishes so when you sit down on that little plastic blue chair, take whatever they give you. You won’t be disappointed. We have listed five must eat dishes while in Hanoi. You will probably smell this dish before you see it. Sliced pork along with seasoned pork patties are grilled over hot coals and served in a sweet and salty sauce. It is served with a garnish of fresh herbs, noodles, chopped chili and garlic. Beware, once you have this dish, it will haunt your dreams. Local insight: Grab a side of Nem Cua Be, crab spring rolls that are traditionally served with this dish. 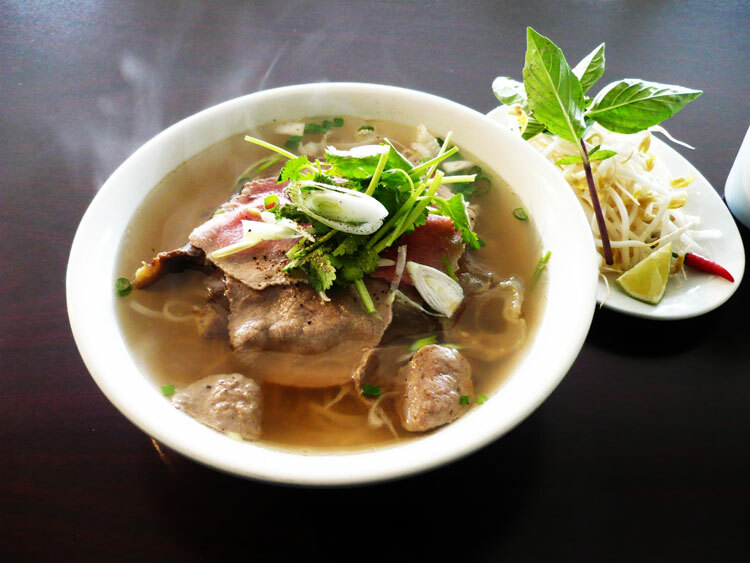 You can’t mention Vietnamese food without mentioning the country’s national dish, pho. The pho in Hanoi is very different from the pho from the South. Pho Bac is beefier and tends to be cleaner tasting than it's southern kin, Pho Nam. Local insight: Less is more with Pho Bac so don’t dilute the taste of the broth with extra condiments. Traditionally served as breakfast, this rice crepe is filled with minced pork, wood ear mushrooms and chopped onion. Garnish can consist of fried shallots, fresh basil, beansprouts and steamed pork pate. Served on the side is the obiquitous nuoc cham dipping sauce. Local insight: Though traditionally served for breakfast, this is also popular late night snack. Served in a skillet, this fish dish combines tumeric, a heavy dose of dill, fish sauce and shrimp paste to create a flavourful dish that is nuanced yet bold in taste. Typical of Vietnamese cuisine, the fish is only a part of the equation with noodles, fresh herbs and nuoc cham sauce rounding out the dish. Local insight: The shrimp paste can be a bit strong and most restaurants will omit it in the preparation if you don’t care for it. 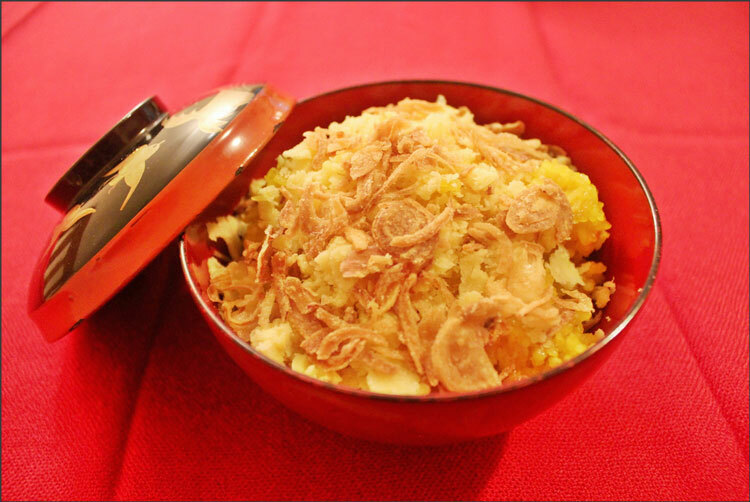 This dish combines yellow sticky rice with ground mung bean and fried onion. Traditionally served for breakfast and lunch, some Hanoi stalls serve this as an afternoon snack.